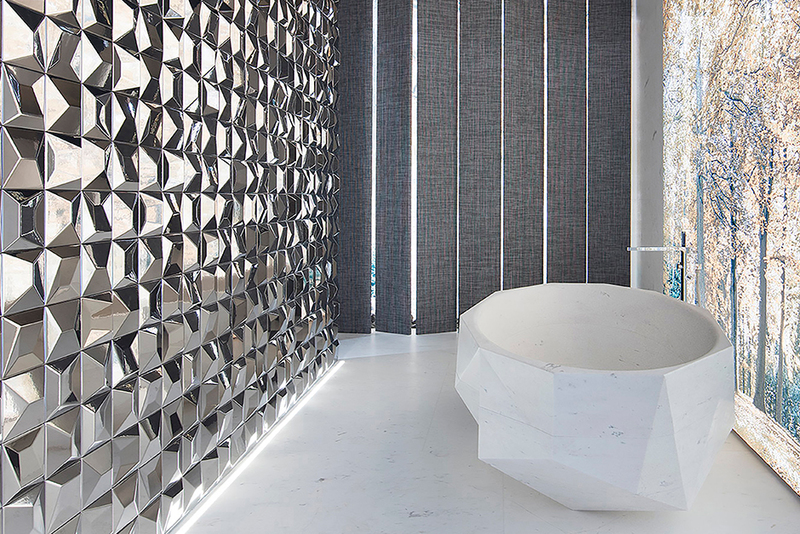 Textured Dimensional Tiles are artistic tiles that Porcelanosa distributes throughout the world. Manufactured to meet our demanding internal standards, Porcelanosa’s tiles are the quintessential choice when it comes to value in engineering a project. Our unique tile options are versatile, durable and ideal for creating a focal point of great style in any room. Here are several innovative ways textured dimensional tile can create a focal point in your home. 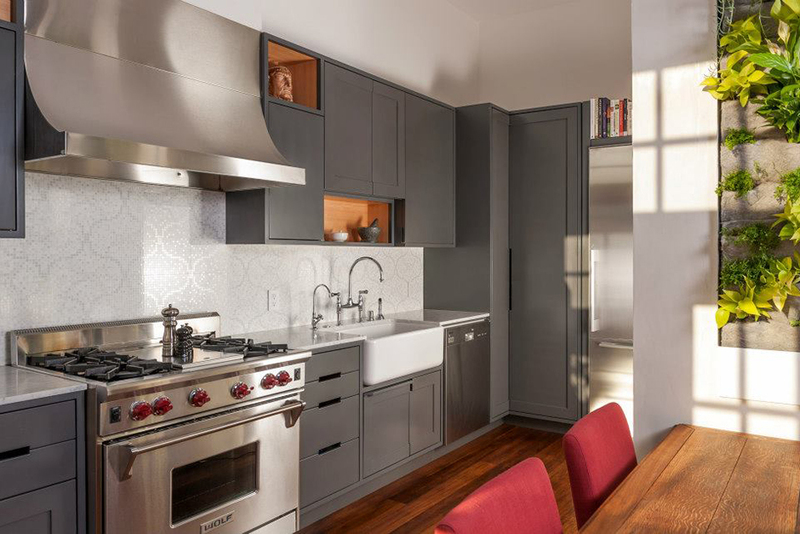 An efficient and timeless way to incorporate textured dimensional tile is with a back-splash. Our DALIA BLANCO tile creates a sense of depth while maintaining a classic and clean aesthetic. This tile is thin, lightweight, and full of structured dimension. QATAR NECTAR is a prime example of how textured dimensional tile can be both trans-formative and perfect for wall decoration. Our modern designs add a profound richness and artistic approach to any space while letting the eye rest on one focal point. Textured dimensional tile is often a favorite material of architects and interior designers. 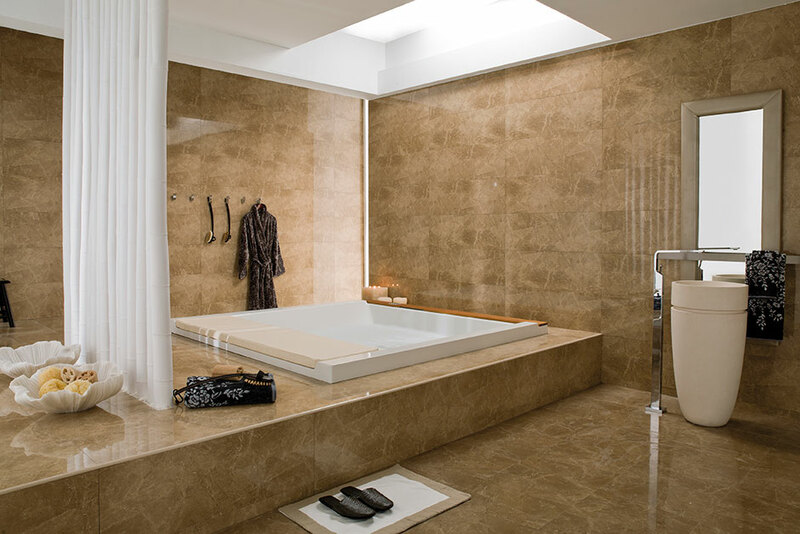 SUEDE TAUPE tile creates a sculptural and harmonious surface for any home. By demanding complete attention, this wall art immediately draws the eye to its composition and color. FACES H4 PLATA instantly adds personality to any room. With its smooth and shiny appearance, one can easily achieve a cool vibe and an exquisite design. A bathroom is an excellent place to showcase your personality and design taste. KALI TABACO grounds a space as it is both solid and imposing. The flow of the bathroom is a well-balanced dimensional surface, which allows the eye to rest. DIAMOND WHITE tile helps create an interesting and welcoming interior. 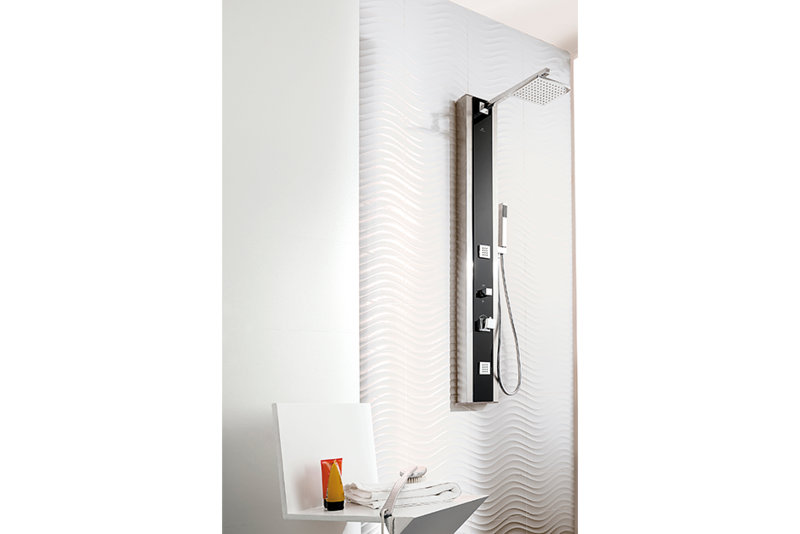 A textured dimensional wall gives your bathroom both character and depth, while maintaining an appreciation of beauty. By specializing in large size wall tile textures and wall tile finishes, our tiles are the classic choice for many home remodeling and renovation ideas. One can easily upgrade existing wallpaper or disguise a paneled wall with our DECO NACARE BLANCO or our FUSION MINISTRIP WHITE textured dimensional tiles. The end result is a visually impressive and inviting room with an established focal point. Beauty and quality are inherently found in our tiles, coupled with the durability and ease of maintenance. By establishing a clear focal point for your room, other objects and surfaces do not compete within a space. As the highlight of the space, textured dimensional tiles attract interest and can make a stylish room even more stunning.